35708LF-SS is rated 4.3 out of 5 by 4. 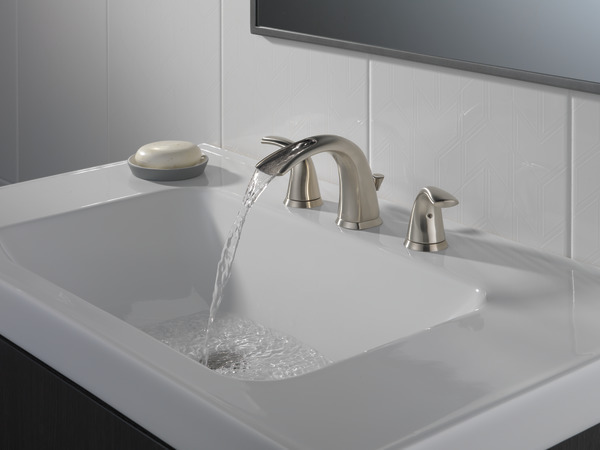 Rated 3 out of 5 by Robin0109 from looks good but hasn't held up to well I really liked the look of this faucet, but, the hot water has been leaking for some time and now the cold water is just a dribble. And the spout has terrible calcium build up - prolonged vinegar soaking didn't touch it. I've had the faucet for about 5 years, and as I said the leaking has been for at least a year. For the price I would've expected better. I am calling customer service we will see if they send free replacement parts like Moen, or not. I need a spout and two cartridges. Rated 4 out of 5 by Matt75 from Good but disappointed with the finish Looks beautiful, performs well and made of quality materials, just very disappointed in the finish. There are no caps provided to cover the set screws in the handle assemby; meaning you can see the thread inside the handles. This could also have the potential to pick up dirt in the longer term. Would have expected this finish to be provided, given the relatively high cost of the unit (we bought two at combined cost of over $500). Rated 5 out of 5 by zgolfrz from Great look Great faucet - the only concern is that when you turn off the water use must wipe of the excess water in the speckit (ignore spelling) or it will leave water stains. 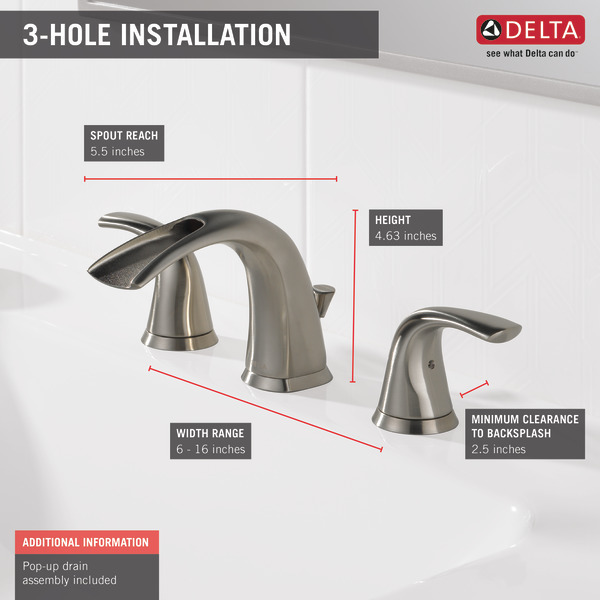 Would this product be correct dimension for a drop in tub? We have single piece (attached water flow handle) for our sinks. Need matching tub fixture. Why are the same finish options as 17708LF not available? This is basically the same faucet design as the 17708LF, with different handles. It'd be nice to have the same finish options. Thank you for your question. Due to market research, these are the finishes requested by the vendor to be sold in their store. I am really interested in buying this product but i was wondering if it will be available in the stainless finish. I need four of them but in the stainless finish. Really like this style. Thank you for your question. 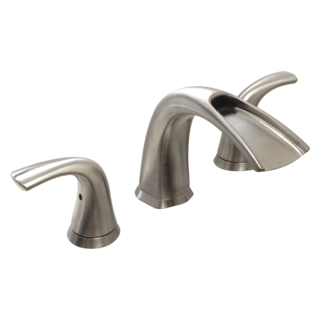 Delta Faucet model # 35708LF is only avaiable in Chrome at this time. We do not have plans at this time to manufacture it in Stainless Steel.